Botanical Name: Cistus ladaniferus var beta maculatus Dun. 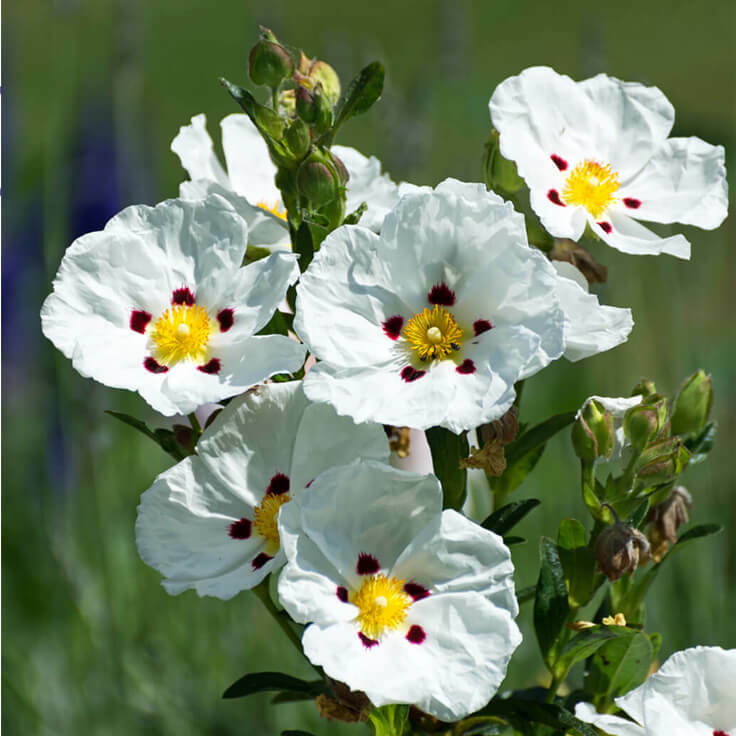 Three aromatic oils are produced from the flowering shrub Cistus ladaniferus also known as Rock Rose; Cistus (Rock Rose) essential oil from steam distilled flower tops and leaves, Labdanum Absolute from solvent extracted resin, and this Cistus Absolute from solvent extracted flower tops and leaves. 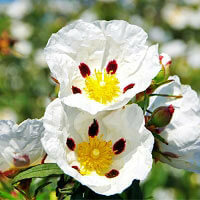 Think of Cistus essential oil with shared aromatic similarities to Labdanum and you have Cistus Absolute. 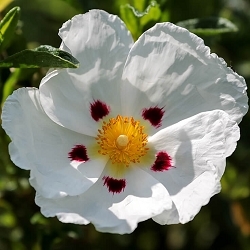 Cistus Absolute should not be confused with Labdanum Absolute because it is derived from flower tops and leaves whereas true Labdanum Absolute is 'always' solvent extracted resin. As a result of different plant parts being extracted Cistus Absolute is slightly sweeter than Labdanum and MUCH easier to work with. Labdanum Absolute is prized for use in perfumery but because of it being difficult to work with we also offer Labdanum 20% in fractionated coconut oil. 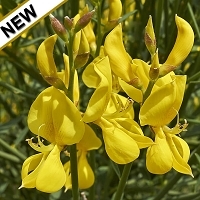 Because working with Labdanum can be challenging and the aromatic similarities Cistus Absolute has with it plus its ability to serve as a base note fixative we are happy to make this POURABLE alternative to Labdanum available. Cistus Absolute adds a spectacular depth to oriental, fougre, and chypre accords. Cistus Absolute is best suited for meditation, yoga, and natural perfumery with its calming, centering and grounding aroma. For aromatherapy use please see Cistus essential oil. I've been wanting to find cistus absolute for quite a while now. Not many suppliers offer it and at least one supplier was misidentifying labdanum absolute as cistus. I love the resin absolute(labdanum) but wanted to experience the absolute from the plant material. It is indeed a sweeter version of the resin - a sweet amber. This pure absolute is less expensive than labdanum and doesn't need to be diluted to work with. It will be a wonderful base note for so many blends. 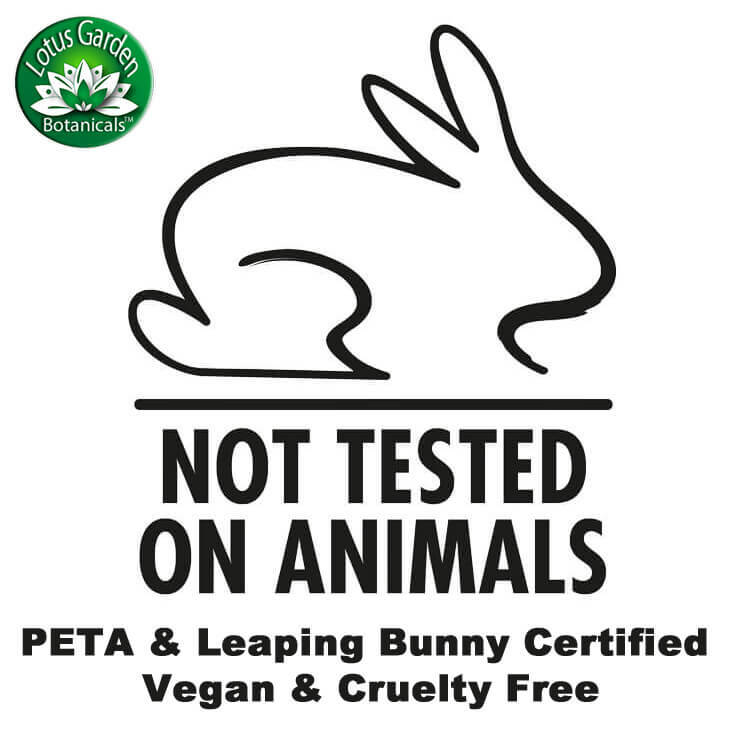 Thank you Lotus Garden for offering this. Now to complete my collection I need the steam distilled resin . . .